Provide comfort for the family of Patsy Hume with a meaningful gesture of sympathy. 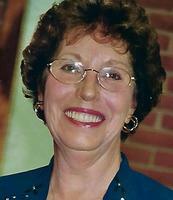 Patsy Lou Roush Hume was born May 20, 1936 in Charleston, WV to the late Lonnie Ray and Grace Lee Gates Roush. She died December 3, 2018 at Hubbard Hospice House West, South Charleston. She was the youngest of seven children. She lived her entire life in the same house in Marmet. She graduated from Charleston High School, where she played the clarinet with the band. She also performed with the Charleston Marching Band at Dwight Eisenhower’s Presidential Inauguration in Washington, DC. After high school she worked at a variety of jobs. She worked with the Red Cross and WTIP Radio Station to name a few. She joined the state government where she was a supervisor with the WV Workers Compensation Fund from which she retired after 30 plus years. She married Franklin Hume in 1973 and they toured the world together. She was on every continent but Antarctica. She also loved visiting her numerous relatives throughout the United States. Patsy was very civic minded. She was a member of Marmet Women’s Club and the Capitol Women’s Club where she started out as a Junior and in 2000 was awarded a lifetime membership. She also served on the Kanawha County Library Board. Another activity she enjoyed was tap dancing. Her dance group, “The Late Bloomers”, performed at many functions. She was an avid collector of angels and Mickey Mouse. Patsy was preceded in death by her husband, Franklin, her brothers: Roe, James and Eugene and her sisters: Bertie, Betty and Wanda. She is survived by hundreds of nieces, nephews, great nieces and nephews and great great nieces and nephews. She shopped all year long so she could send each and every one of them a Christmas present. Funeral will be 1 p.m. Friday December 7, 2018 at Leonard Johnson Funeral Home, Marmet with Rev. Gary Pickens officiating. Burial will follow in Graceland Memorial Park, South Charleston. Friends may call 2 hours prior to the service at the Funeral Home. Condolences may be sent to the family at leonardjohnsonfuneralhome.com. To send flowers in memory of Patsy Lou Hume, please visit our Heartfelt Sympathies Store. We encourage you to share your most beloved memories of Patsy here, so that the family and other loved ones can always see it. You can upload cherished photographs, or share your favorite stories, and can even comment on those shared by others. Provide comfort for the family of Patsy Lou Hume by sending flowers. Sending prayers for her family. Rest in peace Patsy. I have such fond memories of growing up and you were like a big sister to me. You were there when I was 10 and my Dad died to comfort me, Charlie and my Mom. I'm so glad you're one of the special people I'll always hold as a precious memory. My heartfelt condolences to Patsy's family during this difficult time. Death is truly an enemy of us all and I am so very sorry for you and your family. I hope this scripture can bring you some comfort during this time. 1 Corinthians 15:26 "And the last enemy, death, is to be brought to nothing." Very soon they will be brought back to life and reunited with you again forever, yes then your loved one will never have to face the last enemy, death, ever again.